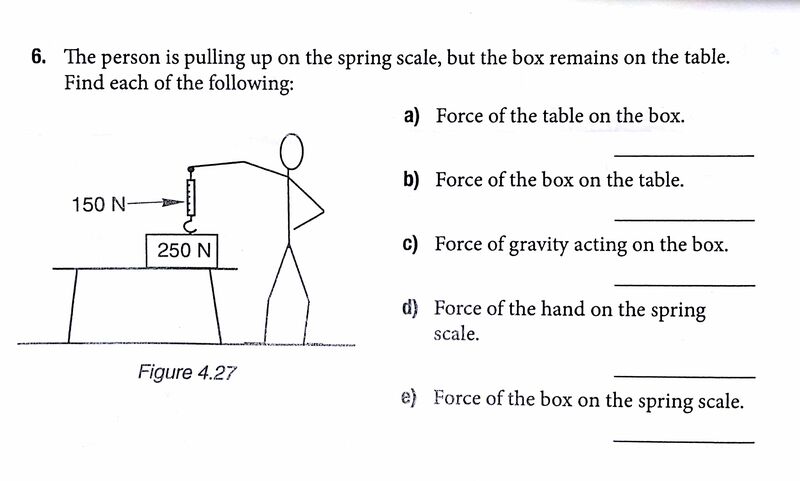 College-Prep Physics: Students attempted the above problem for homework (taken from Preconceptions in Mechanics). Not surprisingly, answers were all over the place. Although the question didn’t ask students to draw anything, I asked students to draw an interaction diagram (aka system schema) for the situation. 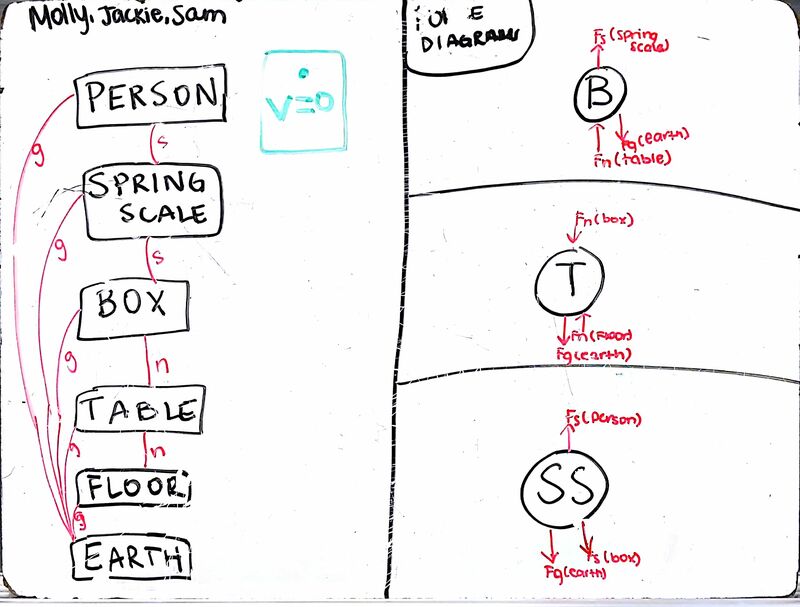 Then, based on their interaction diagram, I asked them to draw separate force diagrams (aka free-body diagrams) for the box, the table, and the spring scale. I like interaction diagrams (left side of whiteboard) because I think they help off-load a lot of the complexity of scenarios like this one. Once the interaction diagram is drawn, the force diagram (right side of whiteboard) is easily transposed from it. The interaction diagram also helps identify 3rd law pairs, since there is just one line (one interaction) connecting each pair of objects. 1. This year I’ve decided to go with a circle instead of a dot for force (free-body) diagrams because (a) it allows for several forces in the same direction to be more easily drawn side-by-side; (b) it clearly labels what the dot represents. 2. I still have a number of students think that the force (free-body) diagram represents what the object/dot is doing rather than what is being done to the object/dot.